^ 4.0 4.1 4.2 Iran, CIA – World Factbook. ^ U.S. Central Intelligence Agency. CIA – The World Factbook – Iran. U.S. Central Intelligence Agency. 2008-04-15 [2008-04-18]. ^ 2013 Report on International Religious Freedom: Iran. United States Department of State. 2014-07-28 [2017-11-03]. 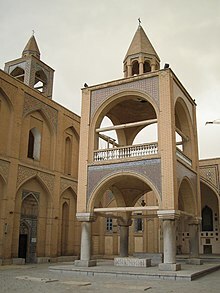 ^ Akhavi, Shahrough. Religion and Politics in Contemporary Iran: clergy-state relations in the Pahlavi period. Albany, New York: SUNY Press. 1980. ISBN 0-87395-408-4. ^ Tavakoli-Targhi, Mohamed. 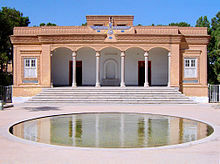 Anti-Bahá'ísm and Islamism in Iran, 1941–1955. 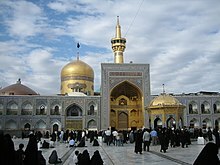 Iran-Nameh. 2001, 19 (1): 79–124. ^ Great Britain: Parliament: House of Commons: Foreign Affairs Committee. Human Rights Annual Report 2005: First Report of Session 2005–06; Report, Together with Formal Minutes, Oral and Written Evidence. The Stationery Office. 23 February 2006: 85. ISBN 978-0-215-02759-7. ^ International Crisis Group. The Shiite Question in Saudi Arabia, Middle East Report No. 45, 19 September 2005 互联网档案馆的存檔，存档日期2008年12月17日，..
^ Matthijs van den Bos, Mystic regimes: Sufism and the state in Iran, from the late Qajar era to the Islamic Republic, Brill, 2002. ^ Johnstone, Patrick; Miller, Duane Alexander. Believers in Christ from a Muslim Background: A Global Census. Interdisciplinary Journal of Research on Religion. 2015, 11: 8 [30 October 2015]. ^ Swami Prabhupada Founder Of Hare Krishna Movement, And A Virulent Racist, Anti-Semite. ^ Ruth A. Tucker. Another Gospel: Cults, Alternative Religions, and the New Age Movement. 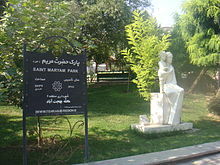 2004: 282.